Modern Master bath remodel in Broomall PA. 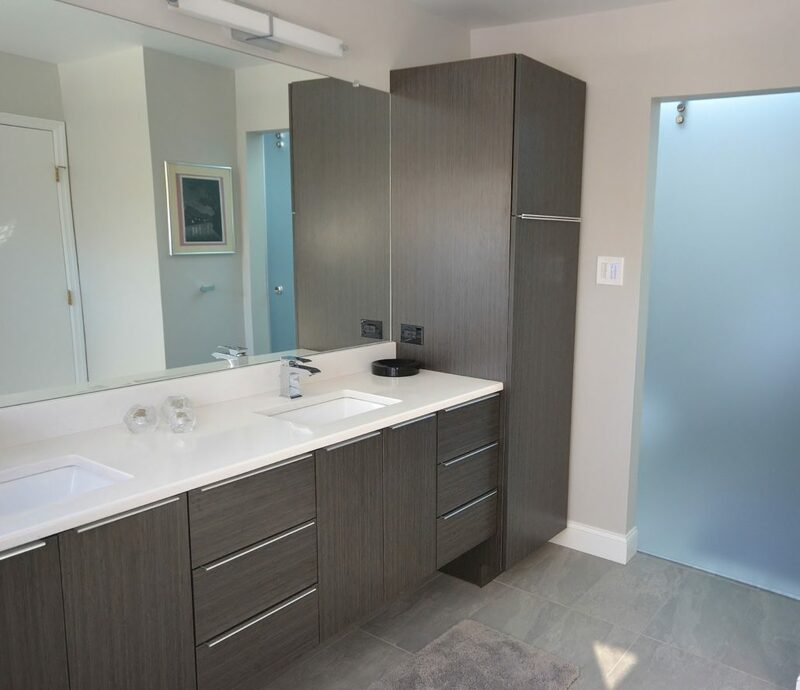 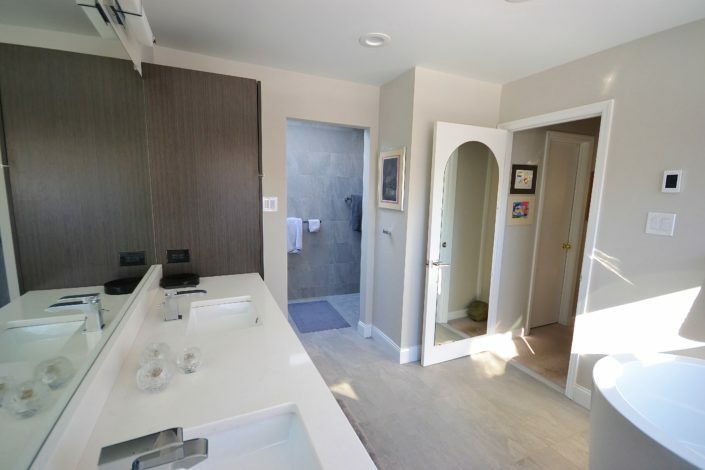 These clients wanted a sleek modern master bath and it turned out great. 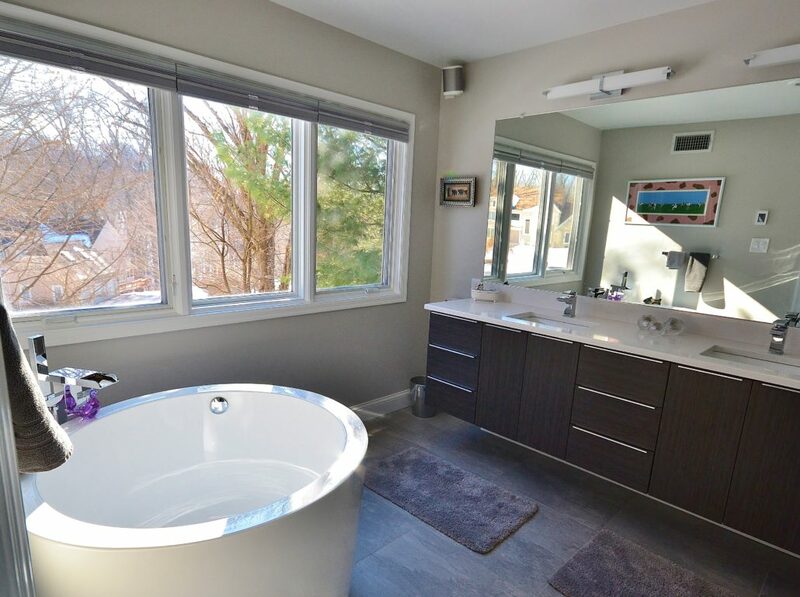 We chose a Japanese soaking tub for in front of the bathrooms large window. 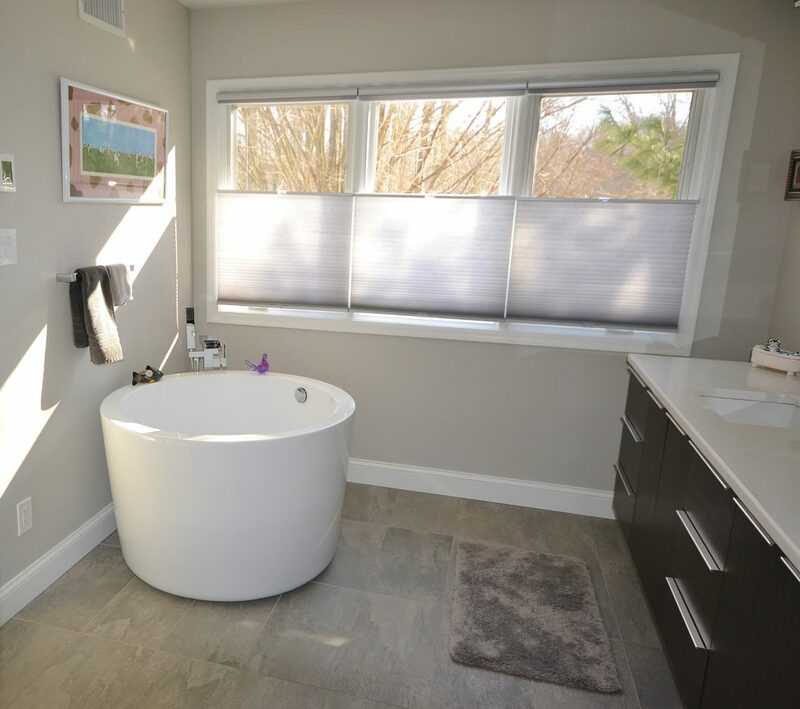 This tub choice gave the client the freestanding tub they wanted and was a great choice for the size of the space.We custom made an expansive floating vanity and linen closet in Asian night finish to fill the adjacent wall with plenty of storage. 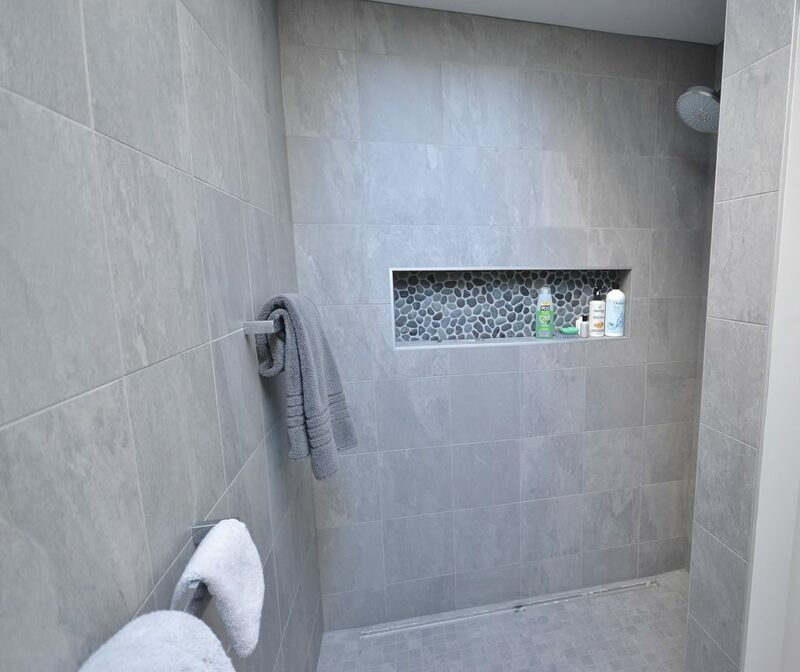 All new tile was installed throughout the bathroom floors and walk in shower and toilet room. 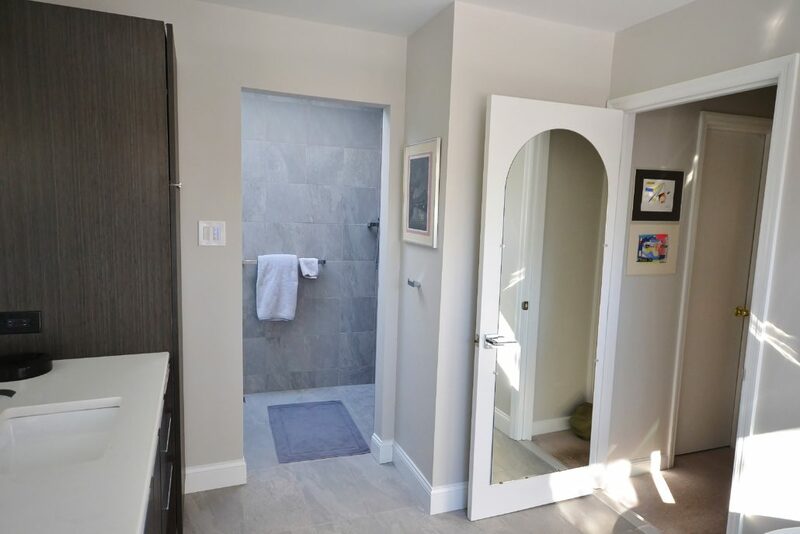 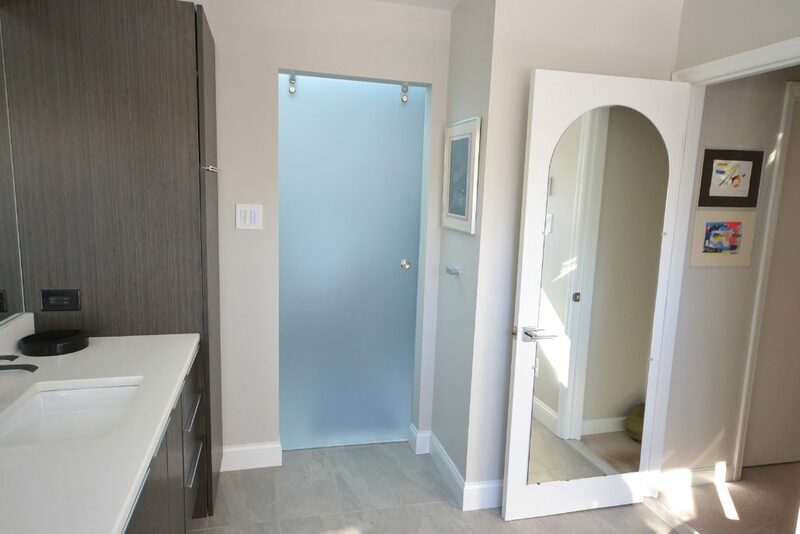 A sliding frameless glass door was added between the toilet/ shower room and the main bath. 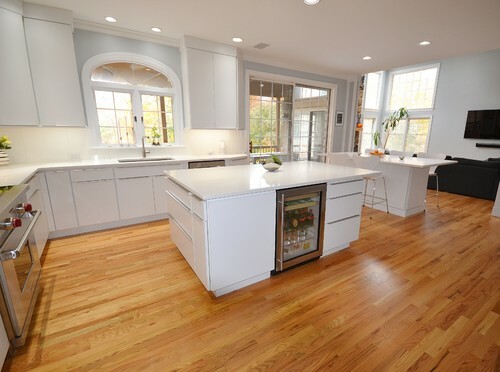 The clean quartz countertops, full length mirror and all the other fixtures add to the new modern feel.